Join the largest online Hygiene community for free! Hygienetown began with a simple goal - to connect hygienists around the world and now has over 59,000 registered members. Register today to discuss treatments, share cases and so much more! Discuss anything and everything hygiene with your fellow Townies. 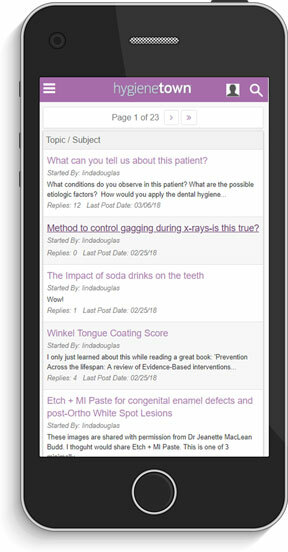 Never miss another post, message or alert by downloading the Hygienetown app on your android or IOS device!